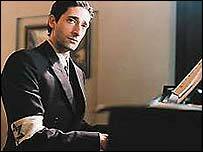 Best actor Oscar winner Adrien Brody always knew that playing the lead in Roman Polanski's Palme d'Or-winning Holocaust drama, The Pianist, would be challenging. He only made it into the film after his part in war film The Thin Red Line - which was cut - appeared on the DVD and was spotted by a casting agent. 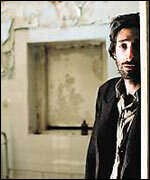 But even he was surprised by the toll the role in The Pianist eventually took on him, mentally and physically. "The beauty of what I do," says the New Yorker, who at 29 is the youngest actor ever to win the best actor Oscar, "is it gives you the opportunity to give up who you are and attempt to understand someone else, another time, other struggles, other emotions. "If you really do experience a lot of them, you connect and it's very rewarding." To get closer to Wladyslaw Szpilman, the real-life concert pianist who survived the horrors of the Warsaw ghetto, Brody endured what can only be described as a period of method madness. 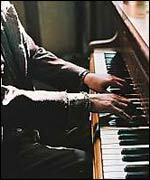 On Polanksi's insistence, he practised the piano for four hours a day, until he was able to play specific passages by Chopin. He also looked for his own ways of achieving the mindset of a man who lost his family and his home. His "bright idea" was to strip his life back to basics, to get rid of the detritus of comfortable living. "I gave up my apartment, I sold my car, I disconnected the phones, and I left," he says. "I took two bags and my keyboard and moved to Europe." He was still not quite there. Szpilman, having escaped the ghetto, had to scavenge for food in the bombed ruins of Warsaw, while all the time evading the Nazis and the certain death capture would bring. As the film was shot in reverse chronological order, the actor needed to look emaciated when filming started. Brody, who is six feet five inches, went on a crash diet and within six weeks had shed 30 pounds. At his lightest, he weighed 130 pounds. The experience was painful, but revelatory. "There is an emptiness that comes with really starving that I hadn't experienced," he says. "I couldn't have acted that without knowing it. I've experienced loss, I've experienced sadness in my life, but I didn't know the desperation that comes with hunger." Brody says he had just enough energy for piano lessons, dialect lessons, rehearsal and thinking about food. At the same time he was immersed in Szpilman's memoirs, in the pain and horror of the Holocaust, and he felt lonely. "I was missing everyone and everything good," he recalls. "But that put me right in the character. "I want to feel that I'm experiencing something, I want to feel the journey, and I felt it. "However, there were times when I was concerned that I might not be able to get out of it sane, because I didn't realise how far it had taken me. "It took over half a year after the film was done to settle back into things." Now that Brody has got his sanity back and regained his weight, he would like to do something with lighter shadings, such as a romantic comedy. 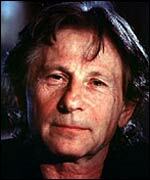 Immediately following The Pianist, he did a short stint on a forthcoming film version of Dennis Potter's The Singing Detective. His character was imaginary, meaning "I could overact my heart out and be really silly". Even so, it is clear from Brody's choices - The Thin Red Line, Summer of Sam, Bread and Roses, Harrison's Flowers - that his heart lies in more dramatic and substantial projects. Perhaps influenced by his photojournalist mother, Sylvia Plachy, he has a preference for work that has social relevance. "It felt good [doing The Singing Detective]," he says slowly, "but it's somehow less fulfilling. "I don't like to suffer, but somehow I have to find a greater connection to the material. I just want to feel that I'm being honest, and honest to myself "